Whether it's the reborn Wispa, the re-re-branded Opal Fruits or the return of the Texan, confectionery giants try to capitalise on our nostalgic yearnings. Why are adults so fascinated by the sweets of the past? So there you are, waiting for a bus, running a little late, a little stressed - an entirely typical grown-up. One bite of confectionery later and you are transported. You're six and round at gran's house, waiting to be taken to the park to see the ducks. You're being given your favourite chocolate because you grazed your knee falling off your bike - or so you think for a muddled minute before mundane middle-aged reality returns. For Proust it was a madeleine dipped in limeflower tea, but for the modern adult sweet lover, a taste of retro confectionery is all it takes to invoke a spot of involuntary memory. At the Museum of Brands, Packaging and Advertising, where hundreds of exhibits tell the story of a nation's sweet tooth, it's a regular occurrence to see grown men and women lost in a reverie. Curator Robert Opie says the reaction of visitors encountering the most insignificant piece of packaging shows the emotional resonance that sweets have. "When visitors come around they are re-engaged, meeting them again as long-lost friends. All the surrounding memories come flooding back. It is the combination of the taste, the image and that whole madeleine-like experience. "I've found people getting that waft of nostalgia just by looking at the container. They have moved back in time and are reliving." And the confectionery makers are desperate to tap into this market to turn remembrance of chocolatey things past into sales. Whether it's Cadbury's bringing back the Wispa, Starburst temporarily becoming Opal Fruits or Nestle bringing back the Texan with the slogan "Blasts From the Past (free retro ringtone)", the sweetie kings are looking to profit from your nostalgia. Nestle even earned praise for bringing back the Drifter bar, despite it having been scrapped only last year. A brief search on the internet finds dozens of message boards peopled by adults ruefully discussing lost confectionery brands and demanding that the big firms satisfy their nostalgic tastes. Activists press for the return of, among others, the Cabana Bar, the Banjo or the Aztec. "It is something that's very well entrenched," says Tim Richardson, author of Sweets: A History of Temptation. "It's something to do with our associations with childhood. We don't like things to change that we remember from our childhood." Apart from the current wave of nostalgia, the other significant thing about the British confectionery market is the longevity of so many brands. 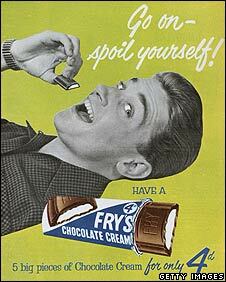 Polos, Kit Kats and Mars bars all made their debuts in the 1930s and remain among the big sellers, while Dairy Milk dates back to 1905 and Fry's Chocolate Cream was first sold in 1866. With new types of chocolate or sweet expensive to launch - both in terms of altering manufacturing lines and marketing campaigns - it is perhaps understandable that the industry often seems focused on past successes, says Mr Richardson. The most established brands are now the subject of endless variation. And the gimmickry reached its zenith some years ago with the release of Polo holes, the bits supposedly from the middle of the iconic mints. "It is a bit of a shame that the companies haven't been as innovative as in the past. There are new brands launched every year but there is a massive sweets graveyard out there," says Mr Richardson. "Part of the reason they have become more conservative is the power of this nostalgia market. People of the sweet-buying generation are quite into the idea of retro stuff. "You don't have to do too much to the brand and it has a very safe feel. There is a good argument that if it ain't broke don't fix it." The self-consciously retro end of the market has been led by the boiled sweets sector. The "traditional" sweet-shop has enjoyed a resurgence, selling sticky treats out of "Victorian-style" jars. Online sales are the distinctly un-retro part of the business. "They sell an awful lot of stock to servicemen abroad. It does take people right back," says Mr Richardson. "You see grown men crying. You suddenly eat the sweet and immediately you are transported back to a particular time. It is a real trigger for people." And if there is one sugary product among all the defunct confectionery brands that tugs the heartstrings of the incorrigible nostalgics, it is Spangles. These dimpled square boiled sweets came in fruit-flavoured and Old English packs and are the most mentioned, says Mr Richardson. But the reason for their continued absence from the modern sweet-shop shelf is all too prosaic. "People always ask why things like Spangles were dropped. Basically it's just that they weren't selling." And that perhaps is the reason why Mars, which made them, is unmoved by the rose-tinted reminiscences on the message boards. "Any brand or marketing activity, including the reintroduction of past products, is thoroughly researched among our key consumers before being launched back into the market. Currently there are no plans to reintroduce Spangles," a company spokesman says. 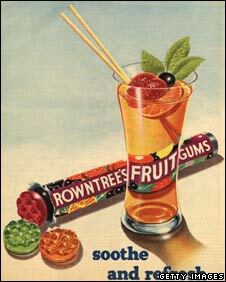 Aztec bars were my fave; as were Spangles and Opal Fruits, Sherbert flying saucers and Black Jacks. Please understand I was a child and sweets were very important when you were a seven year old in 1968. Oh for a Texan bar... A man's gotta chew what a man's gotta chew. I am 60. Once a year, on my birthday, ahen I was a child, my Dad bought me chocolate milkshakes - little chocolate bottles filled with the most yummy centres, wrapped in foil and boxed. I don't know who made them, but birthdays have never been the same since. I also used to love all the loose sweets in jars eg little toffee pillows (cannot remember their name), pineapple chunks, loose jelly babies covered in icing sugar (much nicer than the smooth modern ones in bags), spearmint pips, floral gums, the best bit being that you could purchase them in ounces depending upon how much pocket money you had left. I also miss REAL licorice bootlaces, so much nicer than what you see today. Gosh this is making me hungry. I would very much like to see a return of the Caramac Digestive by McVities circa 1965. 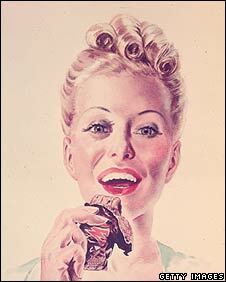 There has been many a take on the digestive but the Caramac variety was never reprised. I was a little amused to see the size of the confectionary wasn't mentioned in the story. This is my main gripe, when they take things away solely to bring them back again, they often make them "new and improved" or as I'd rather have them state "smaller and more expensive". Please, please, please, bring back Wilko mints into the shops. Those torpedo-shaped sweets with a liquorice centre and crispy mint shell. Does anyone else remember the Jamboree Bag? It was a small, sealed paper bag containing several different sweets and (I think) a novelty. It took its name from Boy Scout Jamborees and was a staple of my school tuck-shop in the early '60s. I think it cost 3d (that's d, not p).